NEW YORK : Monitoring high-risk pregnancies with ultrasound tests may help prevent some fetal and newborn deaths, a new research review finds. 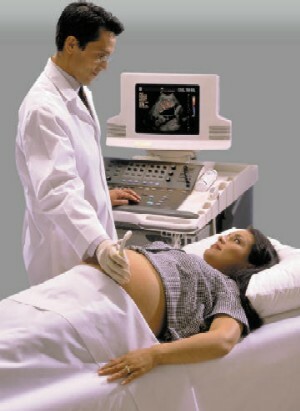 The review assessed a technology called Doppler ultrasound, which measures blood flow through the umbilical cord. Abnormal findings indicate that the fetus may be under stress. Doppler ultrasound, done in the third trimester, is an established way to monitor high-risk pregnancies -- those complicated by problems like poor fetal growth or health conditions in the mother, such as high blood pressure and heart and kidney diseases. Still, the benefits of such monitoring had not been entirely clear. There have been concerns that abnormal findings on Doppler ultrasound may prompt doctors to sometimes unnecessarily intervene -- by, for instance, performing a cesarean section. But in the new review, researchers found that across 16 studies of more than 10,000 high-risk pregnancies, Doppler ultrasound testing was linked to a 29% reduction in fetal and newborn deaths. Among women who did not receive ultrasound monitoring, 1.7% suffered a fetal or newborn death, versus 1.2% of women who underwent ultrasound. The benefit seemed to stem from better decisions on C-sections and inductions of labor, according to the researchers, led by Dr. Zarko Alfirevic of the University of Liverpool in the UK. He and his colleagues report their review findings in the Cochrane Database of Systematic Reviews, which is published by the Cochrane Collaboration, an international research organization that evaluates medical studies. In an interview, Alfirevic said that the evidence supports using Doppler in high-risk pregnancies where the mother has high blood pressure or the fetus is abnormally small. In these cases, the fetus may not be getting enough nutrients and oxygen through the placenta. "These women really should have a Doppler investigation of the umbilical artery," Alfirevic said. Typically, high-risk women would receive other types prenatal testing as well, such as electronic fetal-heart monitoring. "We're just saying this (Doppler ultrasound) should be part of it," Alfirevic said. In practice, Doppler ultrasound may also be recommended for women who have diabetes or are having a prolonged pregnancy (beyond 42 weeks). But there is not yet strong evidence that these women benefit, Alfirevic said. In general, he and his colleagues found, the trials included in the review, which were mainly done in the 1990s, had their shortcomings. Some had flaws in their design, while in other cases the researchers failed to provide details on key elements of the study design. However, with Doppler an established technique for monitoring high-risk pregnancies, Alfirevic said it is very unlikely that any future studies will test Doppler against no Doppler -- as most studies in this review did. Research, according to Alfirevic, has moved on to other questions, including how to best manage abnormal findings from a Doppler scan. In some cases, early delivery may be the best course, but it is unclear whether other options -- such as bed rest or tighter blood pressure control in a woman with high blood pressure -- are effective. Another question, Alfirevic said, is whether ultrasounds of blood vessels other than the umbilical artery might improve pregnancy outcomes. One thing that is clear, the researcher stressed, is that Doppler ultrasound is not necessary for women with average, healthy pregnancies. "There is no evidence to suggest that it should be done in low-risk women," Alfirevic said. SOURCE: Cochrane Database of Systematic Reviews, January 2010.